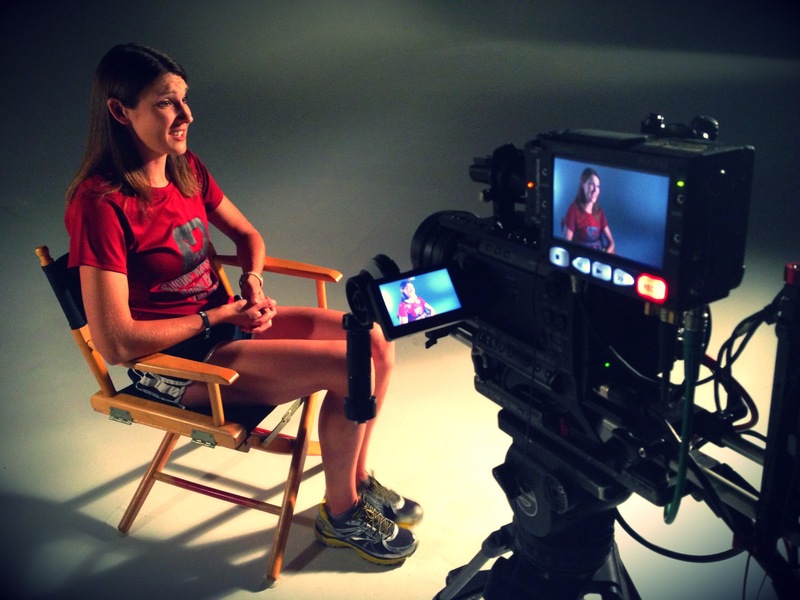 Go To Team Elite Camera Crew & Video Production Crew | Charlotte Crew shoots with Paratriathletes and Marathon Moms with Intersport. Joel and I recently hit the road to Savannah to shoot with Intersport and the USAA. We had a great time shooting with Intersport crew as always, here’s the inside scoop on our adventure. I arrived at the studio the day before to shake hands and check out the space to make sure the requirements of the shoot would be met. 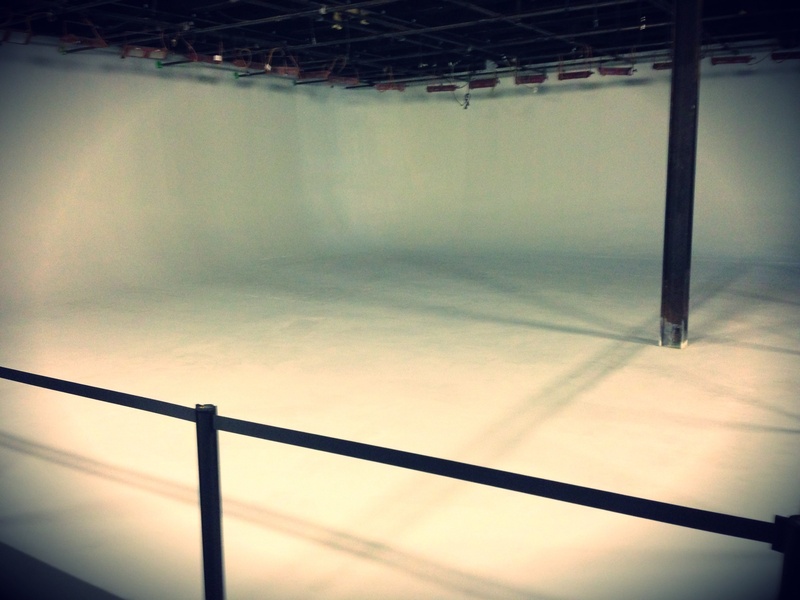 The set was legit, the studio had a fresh coat of paint on the cyc room floor/walls and they supplied us with tons of scoops and extra power in case we needed it. We were shooting on the 5D as our A Cam and Sony F3/Pix240 with Arri Ultra Primes as our B-cam. Our Guest was Paratriathletes named Carlos Molita, and to his credit earned a purple heart for his service in Pananma as a Navy Seal and 4 Time Iron Man Paratriathlon Champion. His story was amazing, I may never meet anyone else the the level of heroism or determination as this guy. 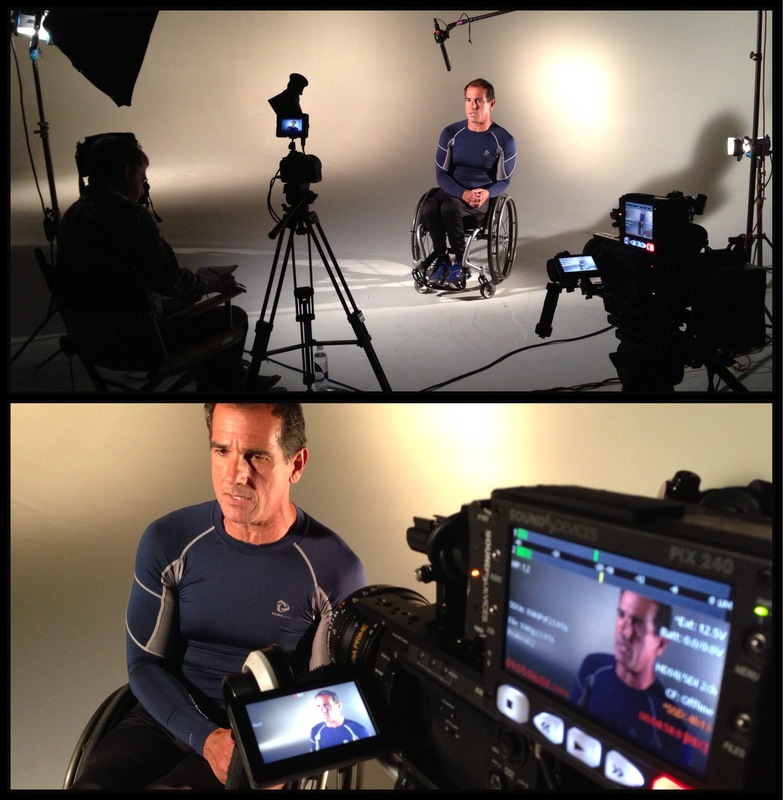 We Spent the afternoon with Carlos shooting interviews and some awesome “hero style” Broll on the MYT works slider. We wrapped out of the cyc room studio and had a day off before we had to travel to Screen Gems in Wilmington for the second leg of our shoot. We arrived in Wilmington where we met up with Stephanie who is equally as cool. She is Military Spouse Magazine’s 2012 Marine Corps Spouse of the Year and she founded a website and running club called Stroller Warriors. We shot on all of the same cameras and gear, we just tweaked the lighting and look space to give it a different vibe. It’s shoots like these that make me love what I do even more. The shoot went exceptionally well and it was an awesome few days with some amazing people. Now on to the next big thing!